This is a research based article. 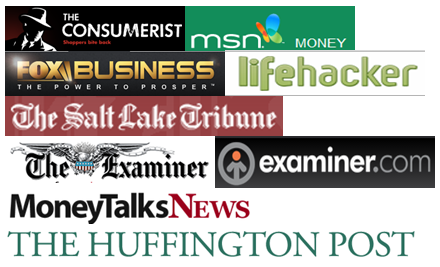 Searching through internet forums, blogs, news articles and interviewing people I know, resulted in this compilation. I will appreciate your honest feedback about the ideas. And, if this article helped you finding employment, I would be very happy to share your joy, do leave a comment below if you can, in that case. My father is a retiree, he is now 66 years old, he made steel throughout his career, working for a steel company. Now he writes blog and gets advertisement income. I learned the trick from him actually. I have a day job, I blog only 2-3 hours a day. I earn between $2,000 – $5,000 every month through advertisement and affiliate sells. You can also earn regular money by blogging. Blogging doesn’t require heavy physical activity, it sure uses a lot of brain, and that’s about it. The biggest bottleneck is to start. Believe me it took me just $100 to start this blog. Here’s my guide to create a blog in 20 mins. You need to select a hosting and then install WordPress and buy a theme. Free themes are not that professional and takes a lot of effort to make a decent looking blog out of them. I’d recommend you buy Genesis theme. Just give blogging 6 months of dedicated time, then you will start earning, you should not expect to earn from first month. As long as you have confidence and a determination, you can do most like a young person can. Believe in yourself and try hard. I have seen my father who lost his job during modernization and computerization wave. He lost his confidence and could never find a new job. He is a man of exceptional talents, he is a great painter, he is highly educated and he has tremendous interest in arts and crafts. But, without confidence and lack of real willingness, coupled with unbelievable competition in the job market in India, he has been unemployed since he was 54 years old. First thing first. For some of the ways I suggested, they require some capital investment upfront. The best way is to tap in to your own fund. You may want to take out money from your lowest performing assets, like a CD or a savings bank balance to meet the initial capital need. The second option is to borrow from someone you know, like your family, relatives or friend. The last option to arrange for cash is to take a business or personal loan. here’s my article on securing cheapest personal loan available in market. Now let’s begin our real quest – art of earning on the side. When you retire, this is the time that you must be rewarding yourself for years of hardworking. It is the time to travel, to celebrate with friends and loved ones, and to pamper self. However, what is happening is otherwise because of the fear of lack. Yes, there is a retirement fund that you can spend but you are being controlled by the “What if I ran out of funds? Or what is an emergency matter happens?” questions. Before you get overwhelmed and spoil your supposed to be fun and fulfilling retirement, think that there are lots of earning opportunities that you can work on even if you are already a retiree. Here are some of them. The below list of job sites may become beneficial for you if you are looking for hourly opportunities in your skill areas. This is not all but these are the major ones. For various activities regarding my blog and eBooks I seek out hourly employees at these sites. Peopleperhour, Freelancer, Elance, Guru, Snag Jobs or even local Craigslist Job board is full of genuine job offers. This blog was designed by one retired graphic artist, who had Hollywood production work in his resume. Actual coding and implementation of the design was done by my good friend Andrea. Start with getting involved in local communities and circles. If you have a professional membership and even if you are a part of Linked in groups, you may find a lot of opportunities to volunteer. Hone your skills first, perhaps you could make yourself indispensable which ultimately may result in a temporary paid work in future. One of my neighbors (south Florida is favorite retirement destination and my community has many retired couples living) started out volunteering at local library and now she’s a 4 hour per day/ 3 days a week librarian. Habitat for humanity is a nice place to seek out local volunteer opportunities. If this story of Jim Power can’t inspire you, nothing would ever will. Jim was homeless for 25 years, he spent his time decorating light posts in NYC, before finally starting making money out his work. The story would surely inspire you. As per Bureau of Labor Statistics, there were 4 million temporary jobs in the year 2011. Chances of getting a temporary job in your retirement is much higher. There are various kinds of job an employer may offer that can fit to your physical and mental fitness level. Here’s a smart guide to get a temporary job through a temporary employment agency from Wikihow. You can even search Google for local temporary employment agencies. If they have a website, browse for the openings or call them up and schedule an interview. Be your professional best and have confidence. You may not get the same hourly rate as you used to get, so be prepared for that. Remember you are competing with a fitter and young workforce your only advantage is your willingness to take lesser pay. Given Govt. has temporary and part-time job listed here. You can actually start this even before retirement. There are many legit and very promising companies today that allow you to earn passively. You need not always join and market their products aggressively. You just need to be wise in finding the right networking company, find the perfect person with a promising marketing tree, if you can, position yourself at the top, and watch how your marketing tree grows. As it grows, your passive income grows. It will not end as long as the company is existing. Remember, we are not talking about passive income like, stock dividend, rental income etc. If you are fond of collecting things when you were young, do you keep them intact? It is time to share those good old stuff to the younger ones. Try selling those with little value to you but you think will have more value to others. When you do your selling, do not sell as of you are holding a garage sale. Be wise by grouping your stuff and sell them by season. Through this, you are sure to have better sales since you can target particular needs of people in that season you are selling. I admit this is not a sustainable source of income. Unless you can self manufacture things that you can sell. This is where the required skills in arts and crafts are so important. If you are good at making any good-looking and useful object, like a jewelry or decorative items, you can be a seller on Etsy and generate steady income. My wife buys stuff from Etsy all the time. Are you fond of blogging? If you have been blogging for long, this is the best time to gather all ideas and aspirations you poured out into your personal blog and publish it as a book. Who knows, it could be the next best seller? This is how you can get started with book writing and publishing. My favorite blogger, Tim Ferris, wrote an exception piece, full with case studies, on how to sell your eBooks online and make money. He is a highly successful venture capitalist, not a con man. You can rely on him. I made my father read the article as well. I have no experience in publishing a book, but many of the personal finance bloggers I know have published successful eBooks that are selling good. If you have been at your best in your craft while you were working, you can share your mastery through training. You can conduct classroom or practical training and earn from it. It need not be complicated; just a short but will be beneficial training is enough. This is a nice guide to be a trainer, at anything. Rental income a pure passive income. You can even outsource the routine maintenance work on your rental property to others. You can use your retirement package to fund this mortgage. You can start with a condominium unit and have it rented. This will not entail too much work from your end. It will just require you to visit and check monthly at the most. I live in a rental condo whose owners are in South Africa, their daughter collect rent from us and the servicing part is outsourced to a property management company. If you plan to stay home after retirement and still want to earn, the internet can be your best help. If you are patient enough to browse and be updated online, you will discover the almost limitless possibility the internet can offer. There are lots of freelancing tasks you can do that can give you good amount. This is tougher than it may sound. Nothing short of starting your own business. But risk is limited as you can start a home based franchise with as low as $5,000. Here’s Inc. guide to start your home based franchise. This top 100 home based franchise list can be a good starting point for you. It lists start-up cost, fees, royalty fees, etc. Based on your expertise and interest you may want to start narrowing down the list before picking the one you’ll be most comfortable with. If you like teaching kids, you can work as a tutor to a particular subject you are interested; or you can be a personal academic tutor. Again, this type of job won’t need much time. The key here is early preparation of the lessons. You will only work based on the agreed study time with the parents. Register yourself on tutor.com, you can earn minimum $10 per hour and find opportunities to tutor kids for 5 – 40 hours a week from your home. You’ll need high-speed home internet though. To find other online tutoring opportunities Google “online tutor”, you can even search by your area of expertise like “Online Math Tutor”, etc. You’ll be amazed to see the results. You can even publish your availability on Craigslist gig board. I see my neighbors tutor other neighbors’ kids. You might want a renovation of your house and allot space that you can share and rent. It need not be big as a house. If you only have small space, you can set it up as a dormitory or a beds space apartment. See if you can sell some stuff and make an extra room. You can advertise in local news papers or Craigslist for a paying guest. In that way you’ll get company as well as a steady stream of money every month. People are most of the time too busy to run errands or pay their bills. This is a good business with an easy task. You can start with the neighborhood. Tell them that you can pay and do errands on their behalf for a minimum fee. If you have a place that you like going to from time to time; or you have tourist spot in your local area, you can apply as a tour guide. Since this will just be a part-time job, you won’t need a salary as an employee tour guide. Just make sure you’ll be an active tour guide who can make the tour worth remembering. Review you history subject and make your own tour guide piece. You can also sell tour keepsakes. Cooking is fun. You can easily sell them especially if you have a competitive price. However, the competition among sellers may be stiff. A good trick you can use is to look for offices (it can be your previous office) where you can sell your meals. Negotiate with their HR team and have a contract with them. By doing this, you are assured of making profit. Kids love sweets. The best place to sell your baked goods is in a school. However, not all parents will allow their kids to eat sweets because of the sugar content. To make your goods nutritious, do some twists. Make them veggie or fruit flavored without losing the usual sweet taste. You’ll need trade license and you should be ready for regular inspection. Here’s a guide to start catering business. Every retailer need part-time workers and sales men during the holiday season. I see elderly persons or students manning the cash counters at our local grocer, Publix. Their per hour pay is not bad plus, they get regular benefits which can offset many drawbacks of medicare. Even big chains like Walmart and Target offer part-time employment during peak season and holidays. Small shops also look out for help. On a weekend a trip to a few local strip malls revealed more than 10 “For Hire” or “Hiring” signs to me. This can be a tedious task if you will be maintaining big gardens. Just choose small gardens in the area and have this only for twice and thrice a week. Do not do this every day as it may tire you or may make you sick. If you have those “green hands,” you can offer garden set-up for your neighbors. Build a small veggie farm for them or a flower garden too. There are lots of home for the aged institutions out there. You need not do the job of an elderly nursing aid. You can just apply as some who will prepare their things, who will prepare their food at the table, and other simple tasks. For an added twist, you can sing songs for them; facilitate simple games, and other entertaining activities. Look for a product or a company that you can do referrals. You can choose between offline and online set-up. Online set-up is more convenient though since it will not require much movements from one place to the other. You just need to spend time looking for prospects in the internet. Most are incorporating network and marketing into their personal blogs and through social media updates. Determine your area of expertise and look for an entity where you can serve as a consultant. It need not be a corporate firm. Since you are only doing this part-time, you can just look for a small entity in your local area. You can look for one that may have similar line of business from your previous job. You are sure to give sound advice based from years of experience. You should apply through the city or school board. While searching for such jobs in South Florida,m where I live in, I got opening in many city websites. A bit of search and online application (for some cities, they accept walk in application only). so, research on my area shows this job is under stuffed. This might be the case in your area. So $10 an hour is not bad for couple of hours a day. Also, you like helping others, don’t you? Assisting little children to cross busy roads is very satisfying job. 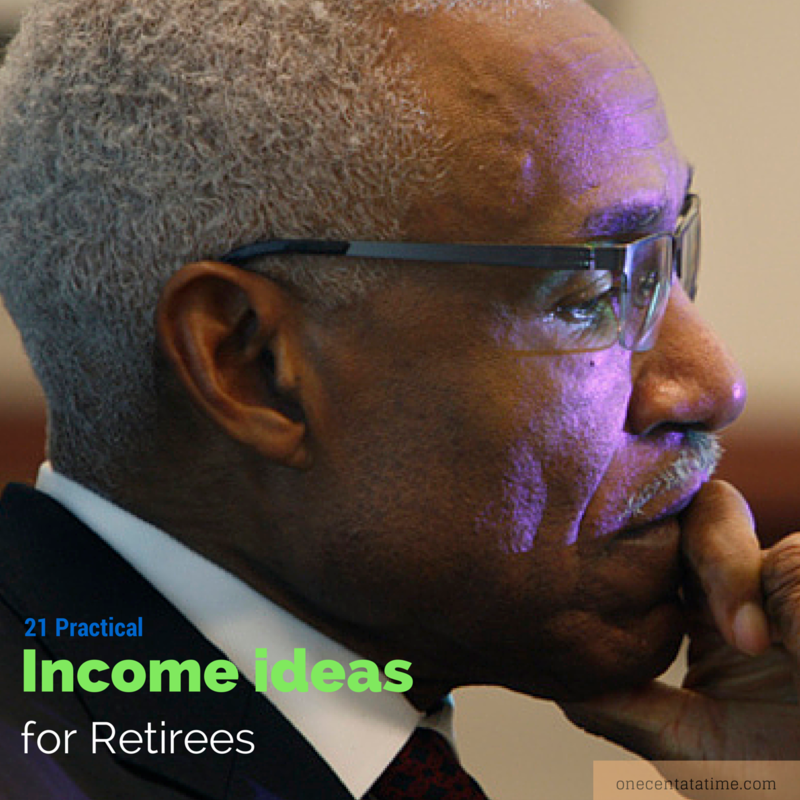 Above are some money-making tasks you can do after retirement. If you will choose from the list, remember to do them at your own convenience. Your main aim still, is to enjoy your retirement age. You should be making the most of your retirement years and reward yourself for a job well done over the years. Choose from the list, which you know you can do with ease and with enjoyment. After all, you need not much money since you already have your retirement pay. If you decide to start home based business, whether it is cooking, consulting or elderly care, you need to register as a business and there’s no better resource you could find other than Small Business Administration website, it will teach you everything about starting and managing home based small businesses. You have a wealth of skills, wisdom and experience to offer. Many employers seek older workers for their knowledge and values at work. As they say, a retirement is a perfect time to enjoy another career, different from the one you used to have over years. Thank you for this post. A lot of good information to sift thru. I get frustrated and a little annoyed with personal finance bloggers who write about retiring early. They have no idea. I am over 50 and currently working part-time (my choice). My husband works full-time from home, thank goodness (saves us some money). We are currently dealing with family situations on both sides. My father has Alzheimers, diagnosed over 2 years ago; in mid-March my mother-in-law fell and broke her wrist. She has been either in the hospital or a nursing home ever since (one health issue after another). We have been running back and forth between the two and it is taking a toll on our finances and our lives (stress levels thru the roof). There is no way we can anticipate how long this will go on, how much it will cost us, and the effect of the stress on our own health. Honestly, I have seen people who, despite all discipline and hard work, struggle to have a decent retirement saving. All due to circumstances beyond control Simple, having two divorces in a lifetime can ruin your retirement life completely, as an example. A serious illness can drain all of your savings. I wish you all the best, may god be with you and you get respite from all the troubles you are facing. I love these types of lists. Most of these can be applied by anyone, not just retirees. I think that bottom line, look at the skills you are bringing to the table and then be creative in ways to monetize them. Retirement is the time to truly be doing what you love. Thanks for the ideas! Thanks Greg, surely some things like tutoring, volunteer work, etc can be applied to people on active work as well. The experience and values are two most important factors a senior person can bring in. The old world hospitality and treatment which a senior can give is unparalleled. I think that’s the reason many American companies have started shifting telephone representative jobs back home. Nice list. You can’t sell cooked food in most places without a commercial kitchen and a license, BTW. Thanks for pointing it out, let me put some how to’s there as well. I completely forgot to mention this aspect, glad you brought it up. Even if they don’t need to earn income during retirement, these type of activities can certainly keep them busy, occupied and satisfied. Good point! Great list. There are choices for everyone. I particularly like being a trainer. Whatever your niche or area of expertise is when you were still younger, you are probably an expert by the time you retire. That would make you an good mentor. Being a trainer is perhaps the easiest job seniors can find, simply with their vast experience, you are very right. Freelance, while it gives flexibility, still seems to have a fair bit of stress involved with planning/looking. Mike I agree, but free lancing work often doesn’t involve the kind of pressure we deal with in our working life. In office we are answerable to our boss, if boss is not happy we have no where to go easily. In freelancing if one customer is unhappy you still have other customers to cater to. Great list! I think by the time individuals reach retirement age they should have a significant amount of experience in a particular skill and a good number of contacts. I believe starting up their own small business would be a good idea. yes, if you are physically fit and mentally eager to do something which you couldn’t do during working life, retirement is the best time to do those. Hope I am not offending seniors here but, to many starting a business might be a very good option, just to get involved in society and do productive work. Some good ideas here and some maybe not so great. Possibly pouring your nest egg into a rental property is not the wisest use of one’s retirement savings, especially if the person knows nothing about the landlord business, which can be challenging at times. Other schemes mentioned can open elderly (and other) people to scams. Offcourse real estate investment is not for everyone. But we can expect decent 5+% return in real estate investment, compared to 1-2% CD rates, kind of annuity rate too. Isn’t it? I know people who tutor high school students regularly in math and science and make $40 per hour for this work, out of their own home. Yes there are a lot of such ways. And especially in internet age, spreading the word out about your skills and service offering is easier. Most who are doing tutoring require teaching experience and a teaching degree. I know I would not want my student tutored by someone who has been employed only in an area that the teacher has not had experience and training. This seems to me to be a limited area of employment… especially if you are expecting $40 an hour. This is such helpful info for so many people! Those are some great ideas SB. I think blogging, volunteering, writing and tutoring are some great ways of spending time for retired people, that can not only provide some extra cushion to them in terms of side cash but also keep them mentally and physically fit. This is a good list of jobs that retired folks can do. I think some of the easier ones would be to just get a part time job, blog or even rent out some space on your land for someone else’s RV or boat storage. There are as many ways to make small amounts of cash as there are people with ideas. Retirement for me is still many years from now. But when I retire, I still plan to write a book for a passive income. I will not just have an extra income, but I will still get to do what I love and that is writing. I see a lot of retirees who work seasonal jobs. When I worked at Target, there were lots of people who only wanted the holiday work because they just needed a little bit of extra money. This is not about extra earnings but serious about retirement. 2)proper asset allocation model is needed with proper research of schemes ideal for retirement savings parking has to be identified,no purchasing of ulips or otc kind high sounding mf schemes from desk of mutual fund advisor or bank HNI service desk is right way of investing for retirement . Well, the list of ideas for post retirement engagement activities in a fruitful manner is wonderful. My strong belief is that by employing retired people with rich experience would ultimately boost not only the company’s financial status and in turn the economy of the whole human society as well. helpful ideas. I’m more interested in the pets and garden maintenance. I ‘m planning to do after my retirement life. can you suggest me where can i get tips to do these ideas? I retired about 10 years ago. Since then I have lived in three different senior “villages”. Renting senior apartments generally offers the benefit of having a small dog. While retirees age, tho, they often don’t have the ability to walk their pet any more. Also, when a senior has broken a hip or gone to rehab for awhile, someone has to walk the dog. I would suggest you find a way to get your name and number and what you are willing to do up onto their bulletin boards. Generally the communal laundry room has a place for such notes. Just a thought. I am not yet retired, nor I would ever like to be retired unless there is a natural retirement when I am unable to think and/or write. Throughout my professional life, I had been working extra-ordinarily. Now I feel tiredness, so a little worried about the retirement. Nevertheless, I am quite ambitious to remain in touch and active as far as possible. This blog having a wonderful content, I liked this. You wrote such a nice content about the Job and Income Ideas for Senior and Retired Persons. Working at home is important to me. I help relatives who are juggling jobs and children. I am semi-retired, really entering more into full retirement at this point. I did do a bit of substitute teaching which is something to look into for those who are wanting a part-time job. Also, I worked through a temp agency when there are elections, and they need workers at the polls. So there are some temp things for grandparents. But I keep learning more about working from home and it is beginning to pay off. i have retired as a school principal recently and still want to work from home as i live in a small town in India.Most probably i prefer some social work or want to join some club or some community work. I have started blogging casually. I will appreciate if you please go through my blogs with a bird eye view and suggest me as how to improve and enhance its viewership so that it become a source of income also. “Society-awareness-programme” at google. and makes a very good income . Great post ever. Most of the elderly person become frustrated after retirement. It would be great if they could involve further earning sources. Thanks for sharing this. Thanks Robin! I got the inspiration from my father who’s still using his skills to start and run home-based craft store. Never give up till you’re physically able. Great Share! In today’s scenario maximum no of the senior citizens become frustrated after retirement. So I suggest one more website “RetyrSmart” this website provides useful business information and ideas about how to gain income after retirement. Great list of ideas, but i think it is not full. For example i can recommend investments in online training for senior people. And that is why: it is easy, it doesn’t need any special knowledge and it is more profitable than most of other ways to make money. You should consider to add this type of earnings in your list. Good idea – I need online training at 75. Please share any person or place to go for online training.. in central Florida — FYI. Thanks! !